I am a little late sending out the newsletter this month as we just got back from a wonderful family vacation in the mountains near Chattanooga, TN. With our daughter, Anna, husband Joe, and 2 year old twins living in southern Maryland, it is difficult to all meet up. We were blessed to be able to travel with our son Mark, wife Amber, and Bekah (4) and Thomas (2) to meet up “half-way” and spend a great week in a rented vacation log cabin. 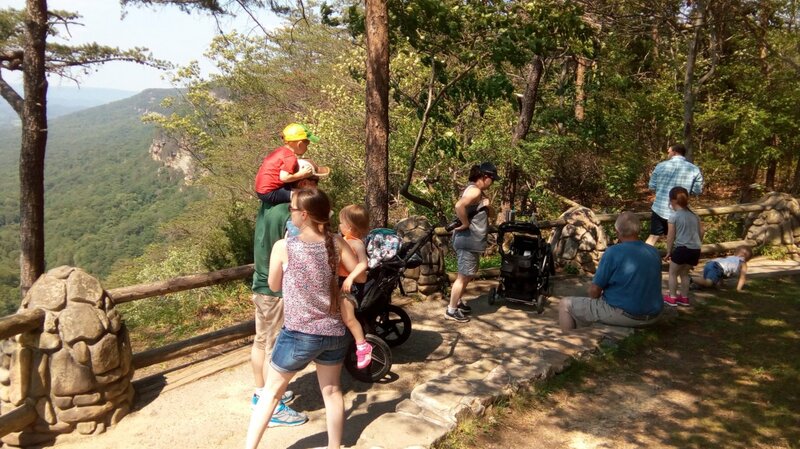 With so many little ones it was chaotic at times, especially on hikes which even the toddlers were eager to do! But what joy it is to enjoy beautiful scenery with loved ones! It got me thinking about Heaven: I truly believe we will be able to enjoy the most fantastic walks there, as after all, God created all the beauties of this world to enjoy with His people as He walked in the cool of the evening! (Genesis 3:8). When we returned home however, we found the garden was ready to harvest, and we spent most of the first day back picking and preparing/canning 7 gallons of green beans, half a bushel of early potatoes, 2 gallons of carrots and a bucket of beetroot! It was a reminder that we still have work to do on this earth, along with receiving God’s blessings. May you all be richly blessed also, Gerald and Shirley. P.S. As many are graduating from school or college at this time, we just want to remind you of the little booklet “God’s Guidance for Graduates” and our latest booklet “Wise Words for Today’s Youth” that can be downloaded and printed from our website and also are now available in a format more suitable for mobile phones, making these encouraging scriptures more easily accessible. 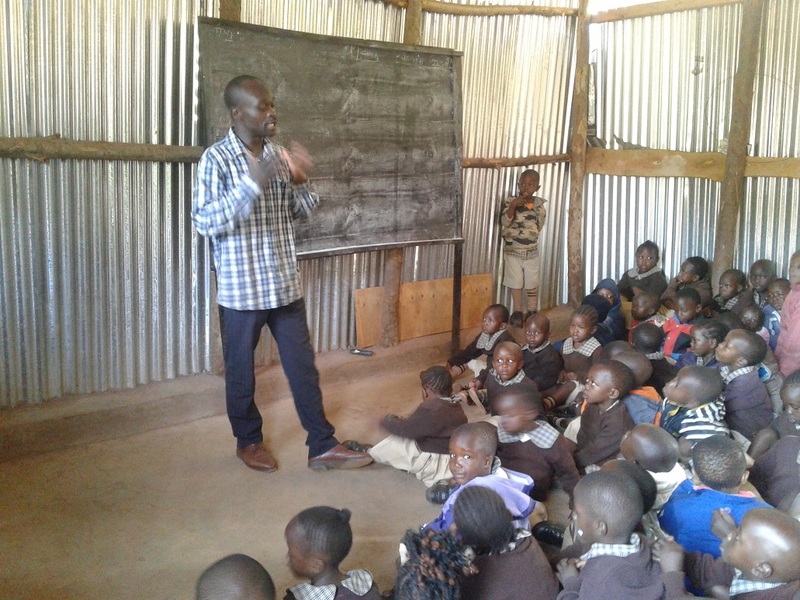 Michael in Kenya sent us some great photos of his ministry in Taveta, in Southern Kenya on the Tanzanian border. 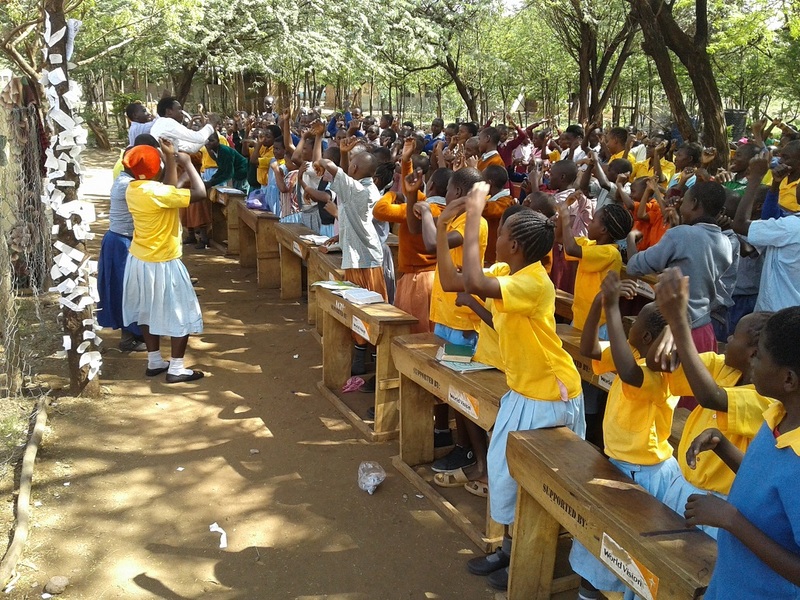 This photo shows the children in praise and worship at one of the meetings. The 1st one below shows his son Trevor helping with the puppets; and the 2nd shows Mike ministering to kindergarten kids. He developed some good ministry relationships and made plans to return soon and teach a children’s ministry training seminar there. He returned home to continue with teen ministry in local high schools and the many school bible study groups. He was also recently able to help a coworker involved in prison ministry and provided many much needed bibles. Pastor Sika in Togo sent us another great report of his ministry over the last month or two, which we have shared in full on our website as a news blog. 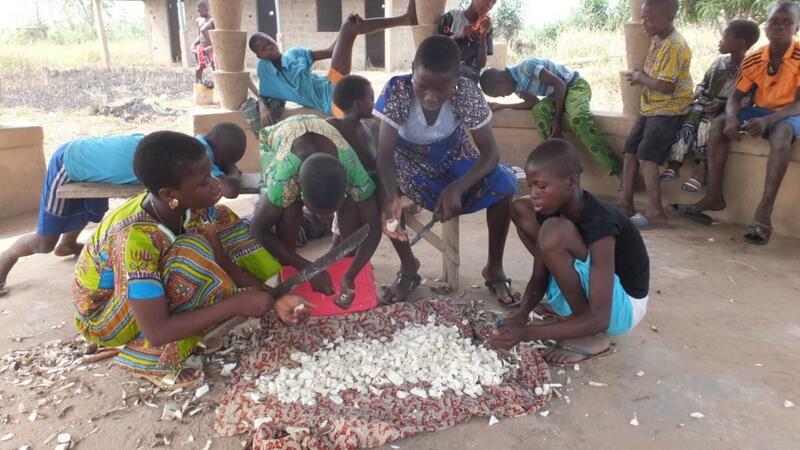 Here are some of the highlights with the 1st photo showing the kids at the Joseph Project Orphanage cutting and preparing the cassava that they have grown, before it is dried in the sun and then ground into flour to make a kind of tapioca. 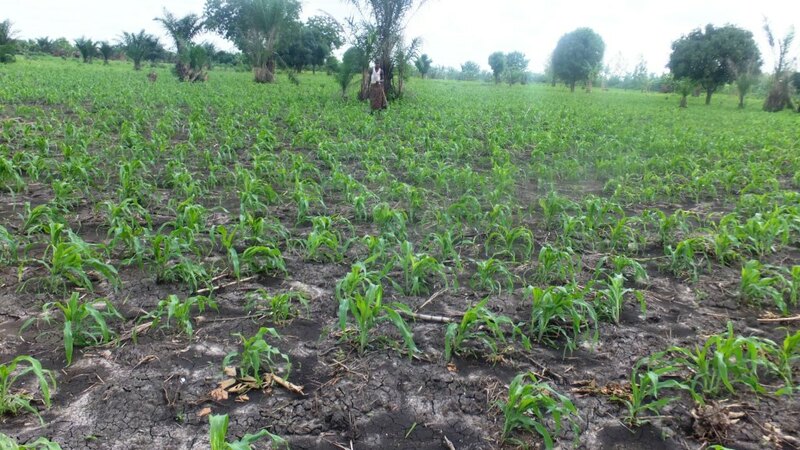 It means a great deal of laborious work, but with the corn that they also grow (as seen in the 2nd photo), they are able to provide for themselves some of the staple food they need. 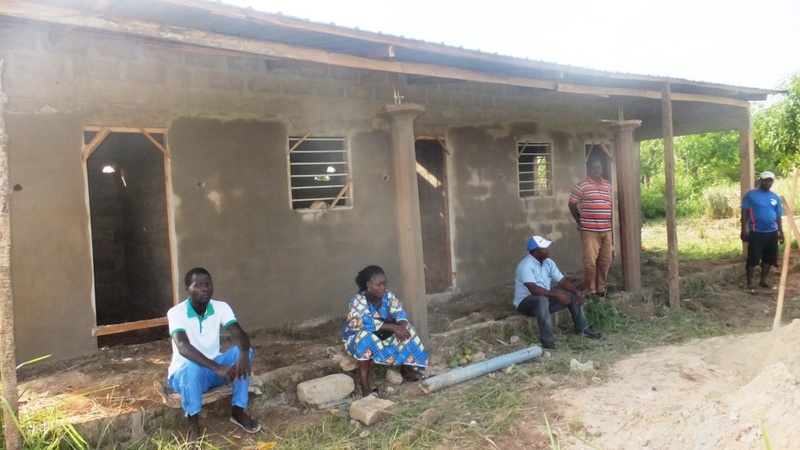 Thanks to some recent special donations, the new orphanage building is almost finished. The 1st photo below shows the plastering underway, and since the photo was taken this has been finished and the doors and windows installed. All that lacks now is the paint and ceilings inside! Please pray that it will be completed and in use soon as an office, storage and another dormitory. 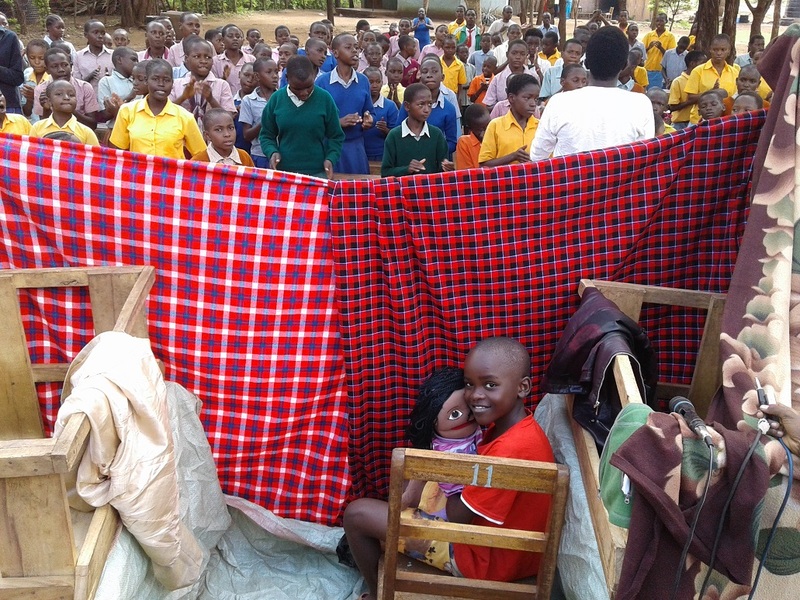 It has taken 18 months to build, and although it would have been nice to have it finished sooner, we cannot forget that it has also been a learning experience for the orphans as they’ve seen the faith, prayers and persistence of Pastor Sika and the staff as God has allowed each stage to be accomplished. The purpose of the orphanage is not only to give a home to these children but also teach them in the ways of God and to learn to trust Him to meet their needs. 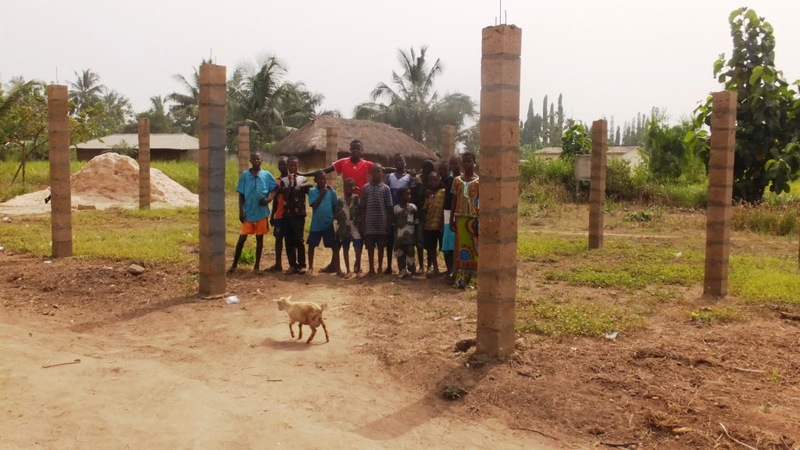 The last photo is of the pillars for the new church building that is also needed, since the congregation at the little Baptist church inside the JP compound has grown considerably as more local people attend. So we need to start believing to build a new church building also! Pastor Honoré in Central African Republic wrote to tell us that he fell down some stairs and was injured enough to have to stay in bed. We’ve heard no more from him so ask for your prayers for his complete recovery and we will keep you updated.